Let’s understand the anatomy: the muscles, the bones, and the subacromial bursa (lubricating sack). 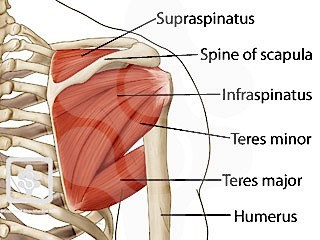 subscapularis, supraspinatus, infraspinatus and teres minor are the small rotator cuff muscles that control and stabilize shoulder movement on the shoulder blade (scapula). These muscles hold your arm onto your shoulder blade – or rather your humerus onto your scapula. 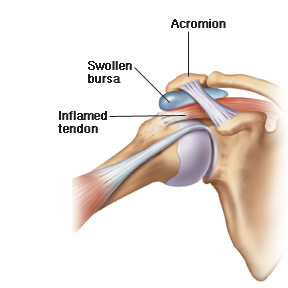 Most of the rotator cuff tendons lie under the palpable bony point of your shoulder (acromion), which protects them from knocks and bumps. In between the rotator cuff tendons and the bony arch is the subacromial bursa that protects the tendons from touching the bone and provides a smooth surface for the tendons to glide over. 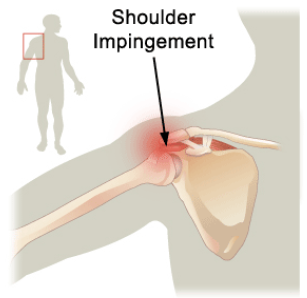 Shoulder impingement syndrome: the rotator cuff tendons are occasionally trapped and compressed during normal shoulder movements, ultimately causing injury and inflammation of the tendons and bursa resulting in painful movement of the shoulder. 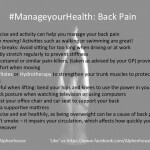 A Physiotherapist can help to relieve pain and pressure at the joint with hands on techniques and strengthening exercises, as well as by re-educating the movement rhythms of the shoulder joint.